The Celtic Arts Center and the Mayflower Club are co-presenting a staged reading of Brian Friel's Faith Healer on Sunday, August 19th at 4:00PM. The production will be presented as a single performance in the auditorium of the Mayflower Club. This is a fundraiser event for the Celtic Arts Center's cultural arts programming, so the entire cast and crew will be donating their skills and talent for the evening. (Located on south side of street just west of Vineland Ave.
Tickets will also be available for purchase at the door. An Claidheamh Soluis/The Celtic Arts Center is a federally recognized tax-exempt non-profit cultural arts organization (501.c.3) and all donations are tax-deductable. Theater returns to the Celtic Arts Center . . .
in this staged reading of Brian Friel’s haunting tale of the unreliability of artistic inspiration. Written in the form of four monologues spoken by three characters in a Rashomon-like exploration of reality as filtered by perception. 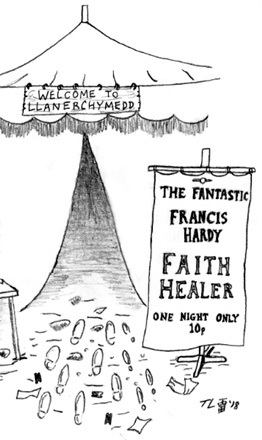 Faith Healer is a play in which three characters struggle to understand the life of Frank Hardy, the play's itinerant healer who can neither understand nor command his unreliable powers, and the lives sacrificed to his destructive charisma. This 1979 play has, in different productions, starred James Mason, Helen Mirren, J. T. Walsh, Ralph Fiennes, Stephen Dillane, and, in two revivals that won him a Critics Circle and a Tony Award for acting, Ian McDiarmid. Faith Healer' is presented by special arrangement with SAMUEL FRENCH, INC.
Linda Rand (Director) has extensive and versatile directing and producing experience with Theatre West, the Knightsbridge Theatre, and other companies, including a dozen World Premieres and several authored or co-authored works. 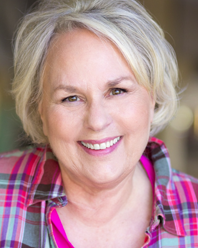 Her credits range from The Female Odd Couple (Knightsbridge) to Santa Clarita Rep's Othello in the Park to a record-breaking run of Agatha Christie's Black Coffee at the Sierra Madre Playhouse. In addition, she is an actress, a singer and an artist. Céad míle fáilte — Welcome Linda! J. Downing ("Frank," the Faith Healer) has extensive credits in television, film and theatre. 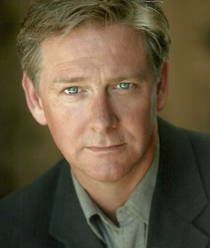 On stage he has performed in Shakespeare's Twelfth Night and Melville's Billy Budd, and on the small screen he has been a principal character on The Young and the Restless as well as being a guest star or co-star on CSI, Scandal, NCIS: New Orleans, and Hawaii Five-O. Céad míle fáilte — Welcome! 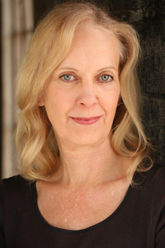 Jeanine Anderson ("Grace," the Faith Healer's wife) is very grateful to be involved in the reading of Faith Healer at the Celtic Arts Center! One of her favorite theatrical experiences was playing Rose Mundy in Dancing at Lughnasa, another Brian Friel play. She can soon be seen playing the role of Jeanine in Kaplan's Korner, a new web series that she co-wrote, co-created, co-produced and acts in with a wonderful ensemble of actors. 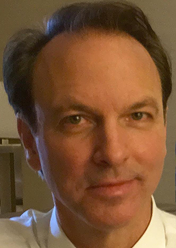 Lorin Henner ("Teddy," the Faith Healer's manager) is a longtime veteran of the Celtic Arts Center's music session who is returning to acting after 10 years. He says he used to get cast a lot in "villain" roles. There are no villains per se in Faith Healer, just very complex, flawed characters, but we know Lorin can deliver! Céad míle fáilte ar ais — Welcome back! Brian Friel (1929-2015), born in Omagh, Northern Ireland, was a dramatist and short-story writer who founded the Field Day Theatre Company. He has been called “an Irish Chekhov” and his plays have been compared favorably to those of his contemporaries Samuel Beckett, Arthur Miller and Tennessee Williams. Known for Philadelphia, Here I Come! and the Troubles-inspired Freedom of the City, his most successful play was probably the Tony Award-winning Dancing at Lughnasa, which was later turned into a film starring Meryl Streep. Friel also collaborated with the Nobel-winning Seamus Heaney. In later life, he served as a senator in the Irish Seanad and received the torc of the Saoi of the Aosdána. © 2018 The Celtic Arts Center / An Claidheamh Soluis. All rights reserved.